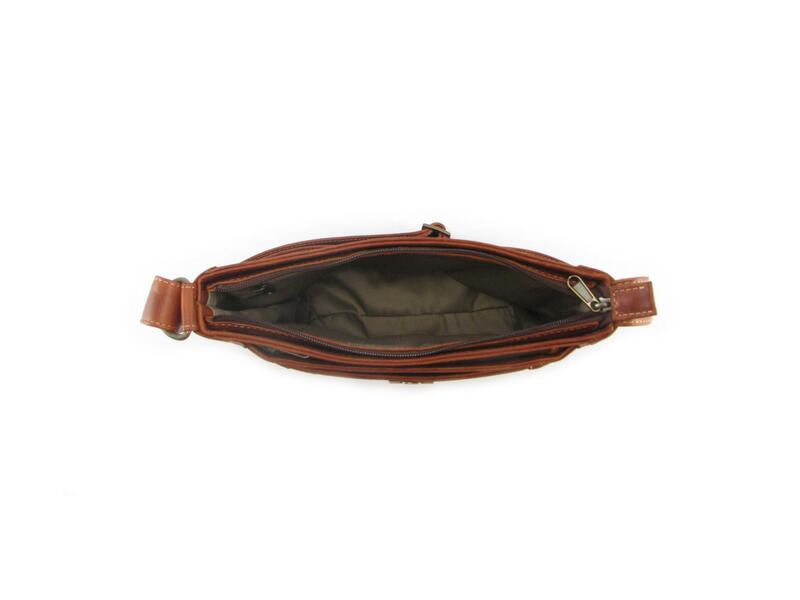 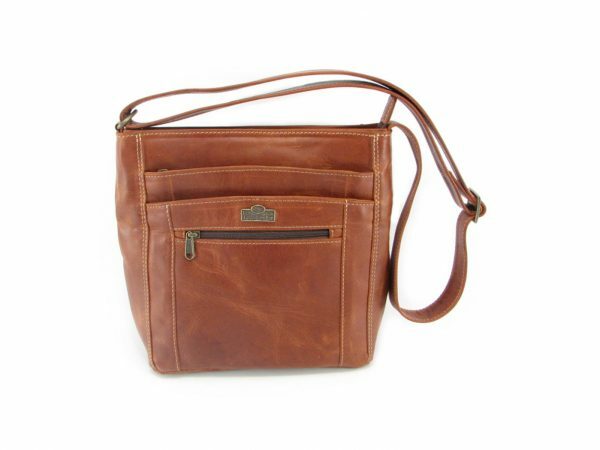 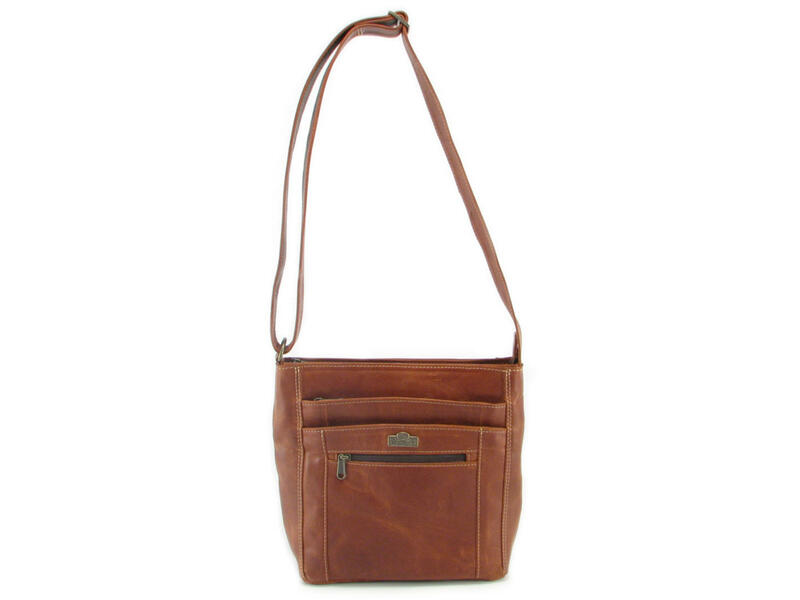 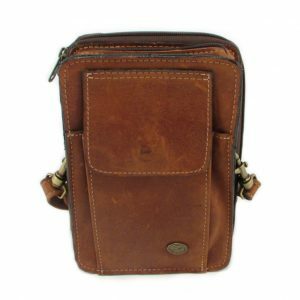 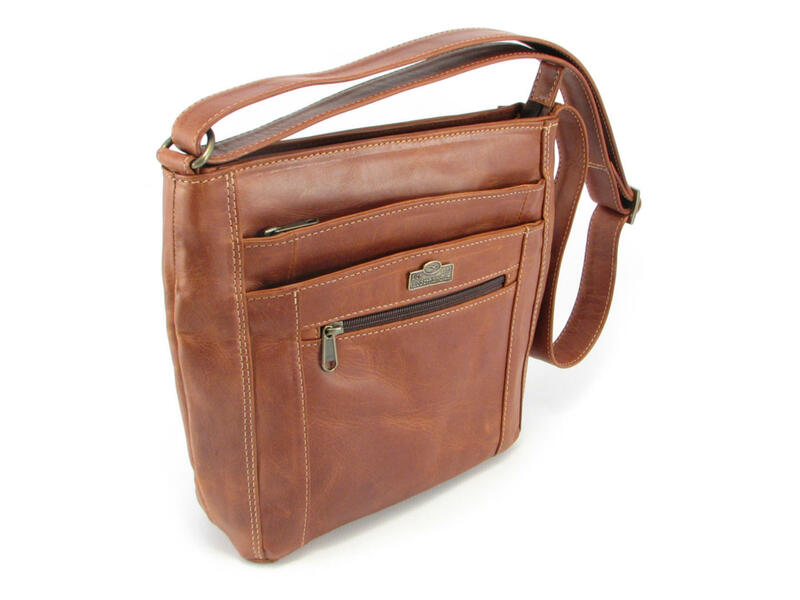 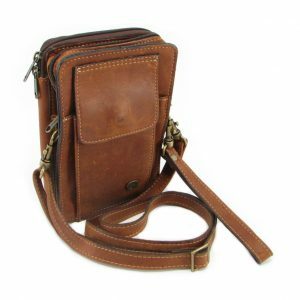 Stay organized and stylish with this fancy full-grain genuine leather crossbody handbag. 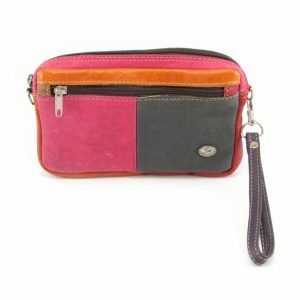 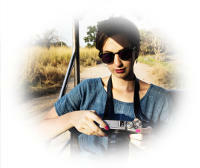 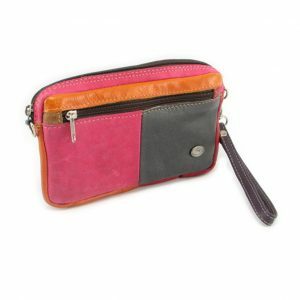 Fabulous as a tourist bag especially for organizing travel documents. 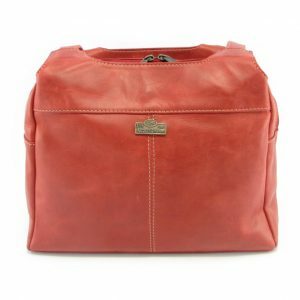 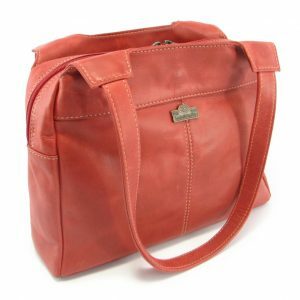 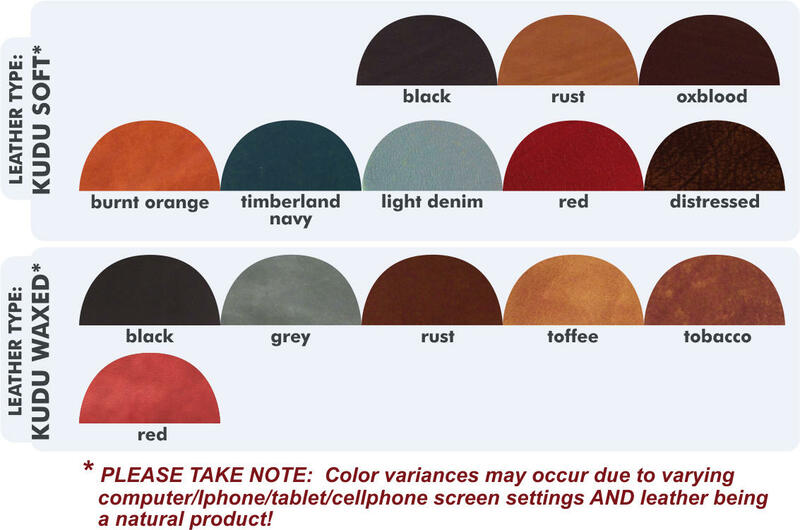 Product photo: Lynette HP7214 handbag crafted from kudu-waxed hide in ‘tobacco’ color.